For most people, turbulence is, undoubtedly, their number one concern when they take to the skies, especially for people who are suffering from the fear of flying anxiety. You may not be overly impressed with the airport, be anxious about taking-off, fret about how high in the sky you will be, not trust the pilots, and have doubts about seeing your loved ones again- but you are likely to bear all this as long as the plane ride is smooth. However, just a jolt of turbulence is enough to send even the bravest among us into a fearful panic and make us long for solid ground under our feet again. But why does turbulence result in such fears yet it is not deemed that dangerous by experts? Granted, severe turbulence may cause injuries as unsecured items, including people, may get thrown about by it. But if you always have your seat belt on during the flight, you are unlikely to get injured as most injuries happen to those who ignore the “fasten seat-belt” signs and the flight crew. 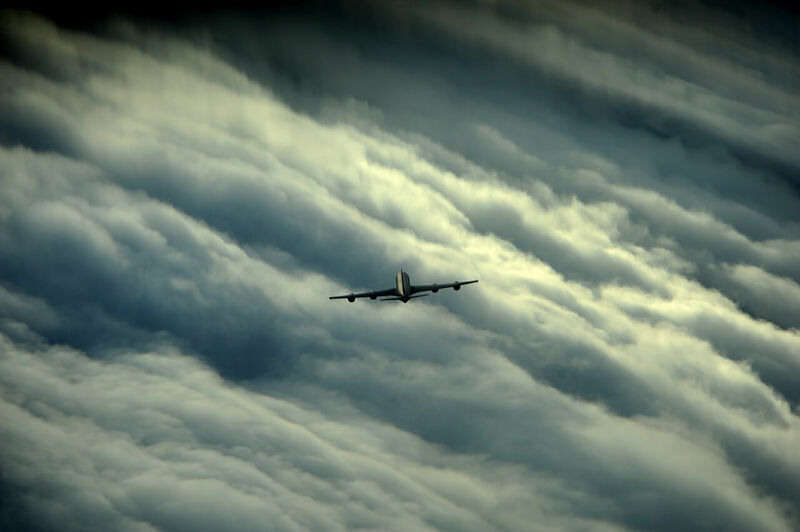 In addition, severe turbulence is quite rare and what is much more common is mild turbulence- where the plane falls or rises by less than an inch each time. Pilots expect to routinely encounter mild turbulence and give it as much thought as a driver would give the occasional shallow pothole on the road. 1. Lack of physical feedback Normally, the body uses various signs to inform it where it is in space and thus maintain balance. When standing, the pressure on the soles of our feet is measured by the orientation of the horizon and skin pressure receptors whilst movement is sensed by your inner ears, eyes, and also joint and muscle sensory receptors. When all this information is integrated, it is referred to as equilibrioception (sense of balance). Now imagine how confusing it is to the body to suddenly “sense” a fall without the body being provided with the requisite information such as how fast you are falling, how far, and in what direction. Your eyes may not perceive the fall nor will your inner ear sense any pressure difference during turbulence as the cabin pressure does not change. The brain, however, receives feedback from the body, including internal movement of the organs and skin pressure differences that a fall did occur. It is little wonder that turbulence tends to make us feel sick and discomforted as our brain receives conflicting signals. The unexpected jolts synonymous with turbulence trigger our stress response mechanism because they are viewed as unusual and, therefore, a source of potential danger. Immediately, the conscious mind looks to see if the danger is real and, if you are not a nervous flier, you are likely to see that the plane is flying normally and relax. Unfortunately, the mind of a nervous flier kicks into overdrive during air turbulence and begin wondering what caused it- thoughts such as did the wing fall off or is the engine broken become prevalent. These thoughts ensure that the stress response is kept alive thereby resulting in heightened anxiety, distress and fear during the period of turbulence. Most people do not enjoy the “swooping” sensation experienced during turbulence. And one of the best ways to combat this falling sensation is to tighten your muscles, especially those around the abdomen. This will help to combat the change in blood pressure, restrict the movement of organs within the body, and ease the manner in which your body attempts to cope with turbulence. 2. Lack of control People with fears and anxieties often compensate by exerting control over their environment. As long as they think that they are “in control” then everything is okay. But in an airplane, you have to leave your safety in the hands of the pilots, air traffic controllers, mechanics, and air crew. And if that is not challenging enough, unless you ask to meet the pilots beforehand, you are ceding control over your safety to someone you have never seen or met. Those who are worried by turbulence and have such control issues may be able to survive a flight only as long as it is smooth- as soon as turbulence kicks in, terror takes over. 3. Lack of a reference frame As pointed out above, whenever we cannot see the ground or the horizon, we are unable to visually orientate ourselves in space. Even if you are able to see out of a plane window, it does not help much since you are likely to be seeing clouds. And if you are able to spot the ground, it is so far from reach that the view cannot be changed by turbulence- unlike going over a hill in car or riding a wave in a boat. This lack of a reference frame heightens the physical sensation synonymous with turbulence. Planes are stress-tested to ensure that they can endure more than 150% of the strongest forces that they may encounter during flight. Turbulence cannot cause an engine to drop off or cause a plane to “fall apart” in mid-air. There has never been an air crash of a modern, commercial airliner solely due to turbulence. Almost all fatalities and injuries during turbulence happen to those people not wearing seat belts (mainly the cabin crew). 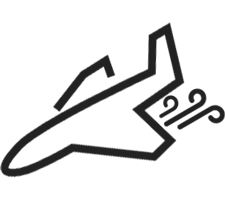 Turbulence cannot cause a plane to lose aerodynamic lift or stall to the extent that it “falls” from the sky. Overcoming turbulence is pretty simple. For starters, it is vital to learn all there is to turbulence and become an expert at it. By doing so, you will discover that there is nothing to be fearful of and you will also stop your conscious mind from forming loops of negative thoughts based on what may go wrong as you will be better informed that turbulence cannot cause a fire or any of the other dire scenarios that you may have in your head. Secondly, it is important to recognize that even if your body reacts to turbulence with an initial stress warning, you can stop it from escalating and intervene by using coping strategies such as counting, reading or distraction using games, music, and videos. After a few minutes, your body’s stress response should subside and you will soon be back to normal.